17.01.2018 - Converse Bank introduced Converse Mobile application, the updated version of Mobile Banking service, offering more inclusive possibilities. The application enables the customers to manage their accounts at any time of the day from any place all over the world by downloading the respective mobile application either from App Store or from Play Market. 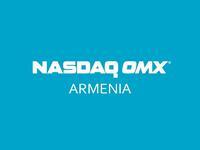 AMD denominated coupon bonds by "CONVERSE BANK" CJSC listed on NASDAQ OMX Armenia. 15.09.2017 - Starting from September 15, 2017 nominal coupon bonds issued by "Converse Bank" CJSC will be listed on NASDAQ OMX Armenia and included in the bonds' main Abond list. 05.05.2017 - The banks informs, the bonds will be listed on NADAQ OMX Armenia stock exchange to be traded on the secondary market. 31.03.2017 - In order to promote energy-efficient housing construction in Armenia, Converse Bank has launched a new Housing Finance project. 17.02.2017 - INFINITUM Asset Services, JSC, has opened the account in the Central Depository of Armenia (CDA). 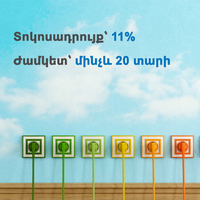 The Operator of the account is the Partner of INFINITUM in Armenia - Converse Bank, CJSC. 11.10.2016 - Converse Bank participated in the Trade Finance Forum of the Trade Facilitation Programme (TFP) of the European Bank for Reconstruction and Development (EBRD) held in Frankfurt on September 19-20.